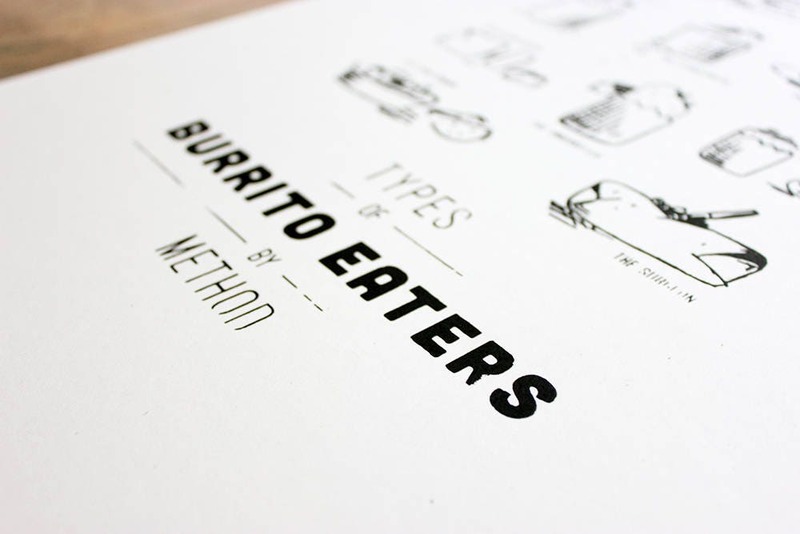 12x18" poster featuring types of burrito eaters by method. 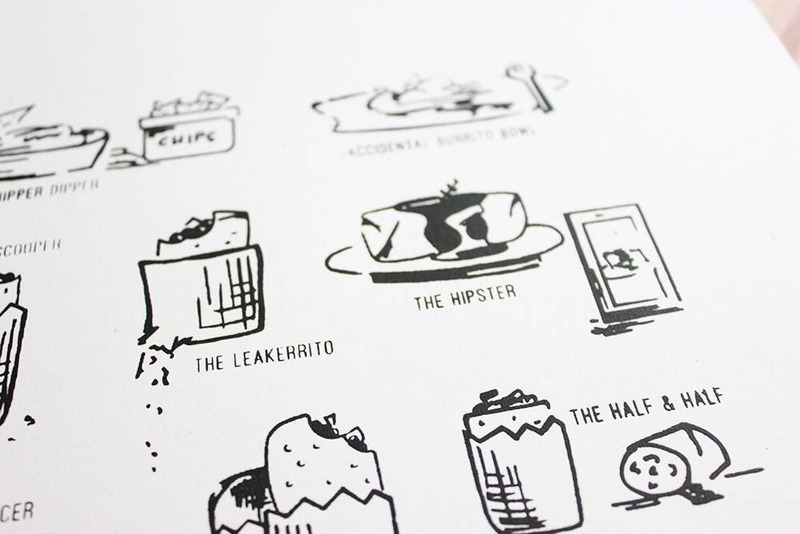 All icons were hand drawn then finished digitally. 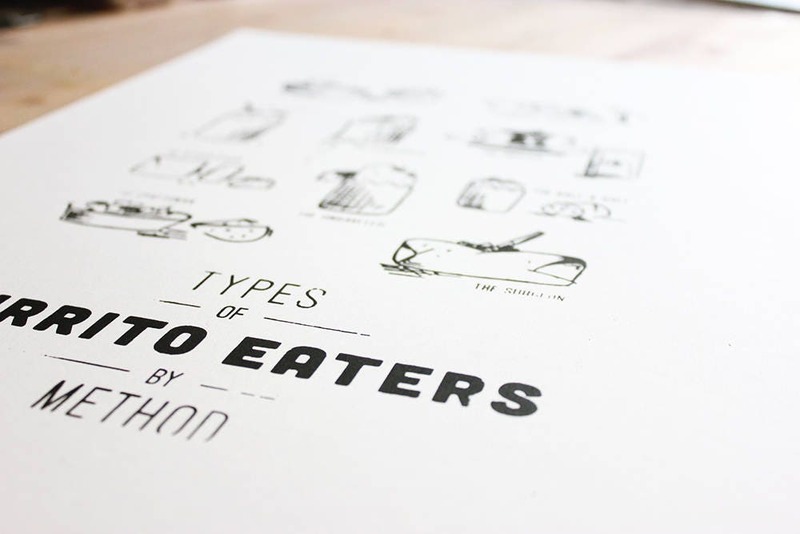 Poster is hand cut single-process silkscreen print in black ink on 100 lb. Speckletone cover stock from French Paper Co. Each of the prints is individually pulled by hand, numbered and signed, and will contain some unique imperfections. 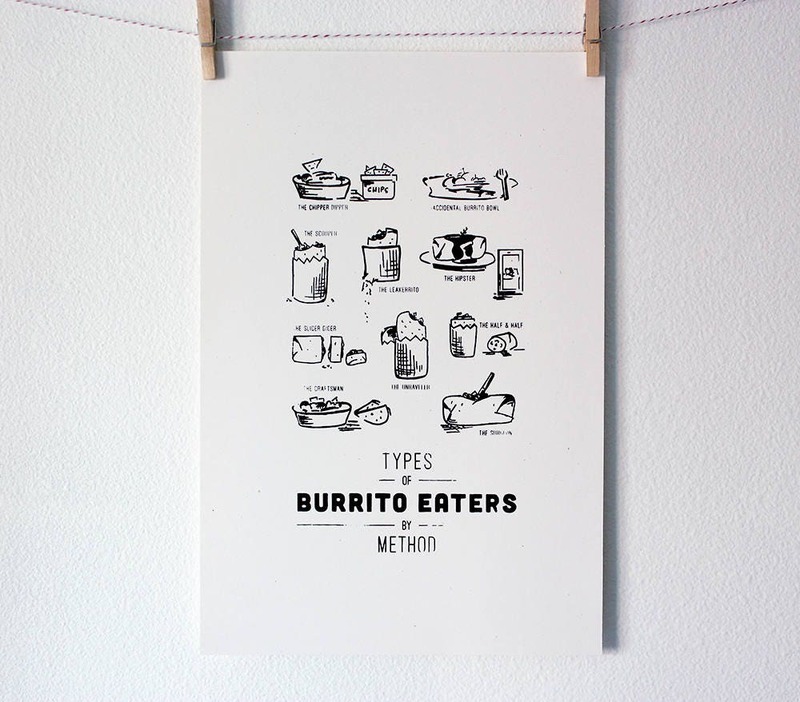 Looks great at home or in the office, framed on unframed.